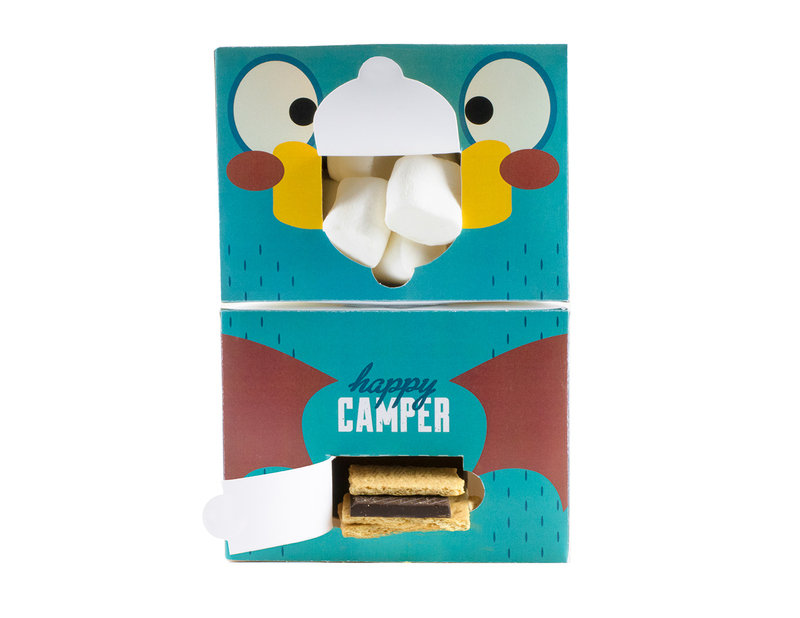 Happy Camper, the friendly S’more dispenser, combines the fun of a twist and match toy with every child’s favourite camp animals. 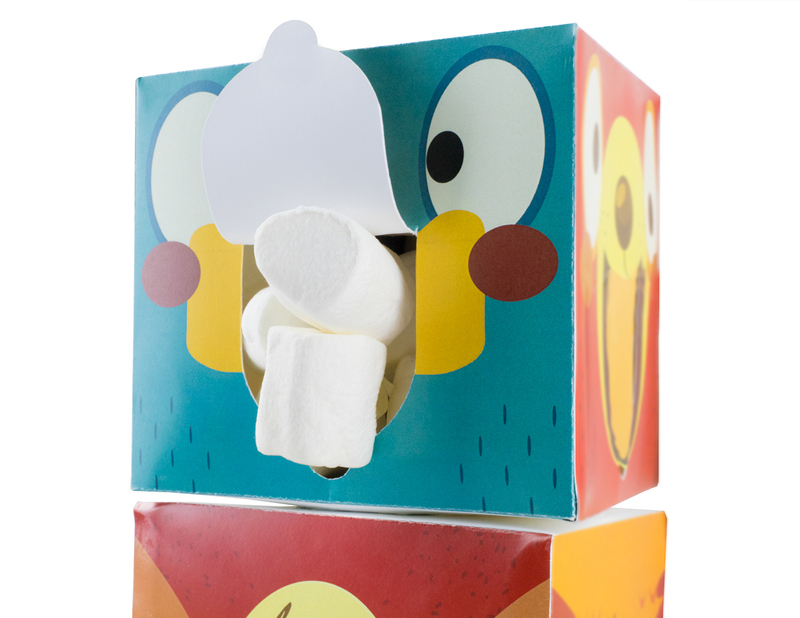 Meet Harold the Owl, Peter the Platypus, and Patty the Bear as you dispense your favourite summer snack out of their mouth or pouch. 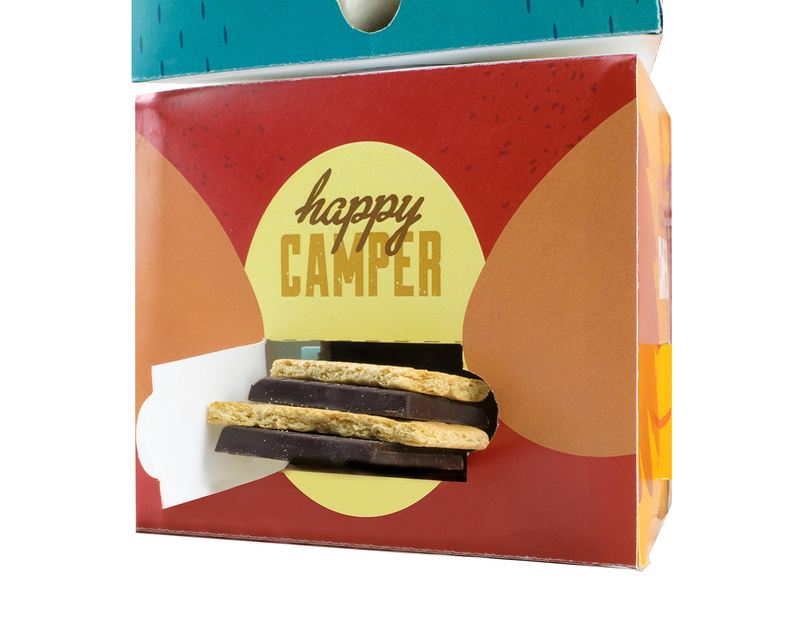 Using vibrant colours, Happy Camper is an atypical S’mores kit that puts the enjoyment of making and playing with your food— it is every kid’s dream! 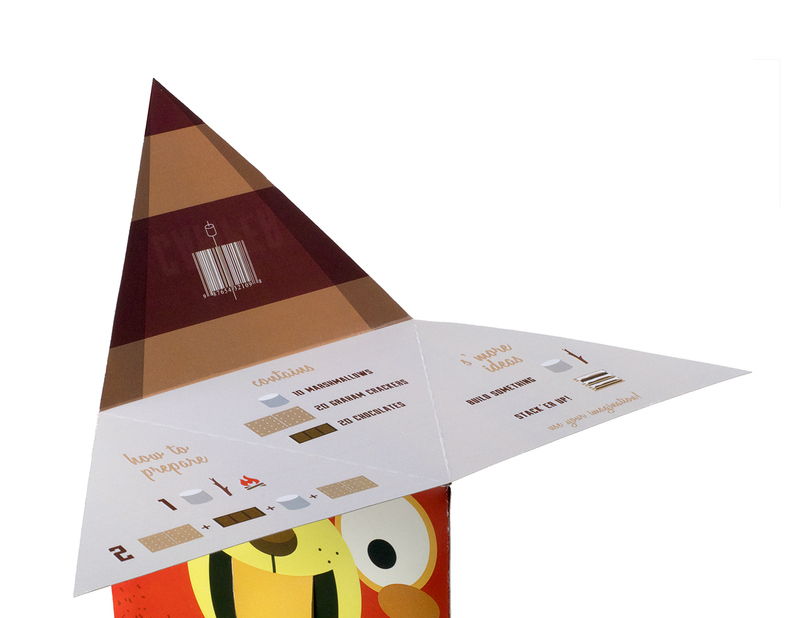 Want a unique way every time to roast some marshmallows? 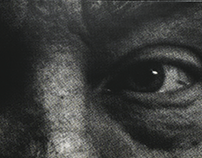 Simply switch up the face and body for an exciting new panel! 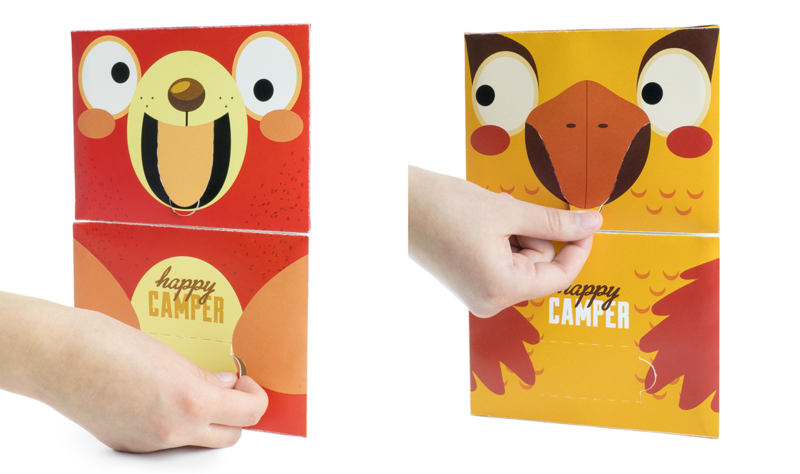 Using a perforated tab design for easy access, kids can easily access and pull up their favourite character’s mouth and pouch to lead them into a sweet goodness. 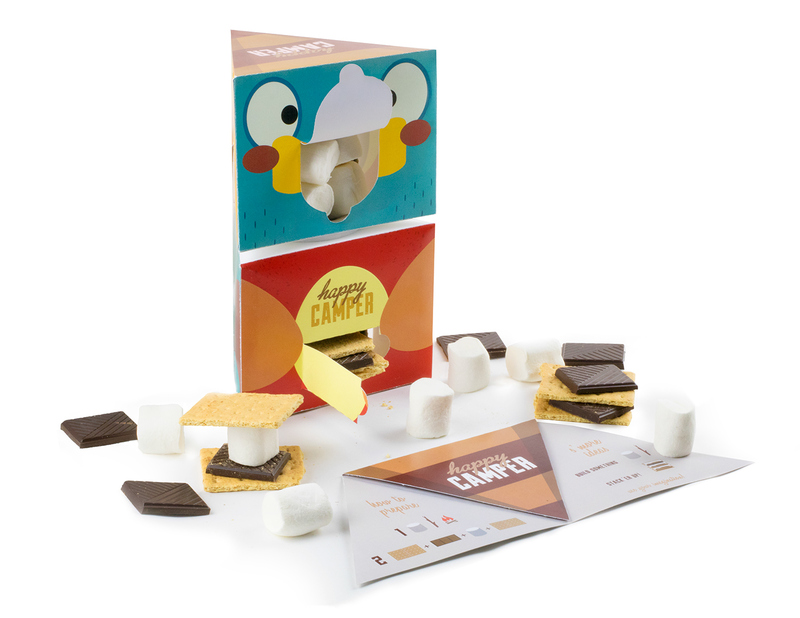 Finished up all your S’mores? No problem! 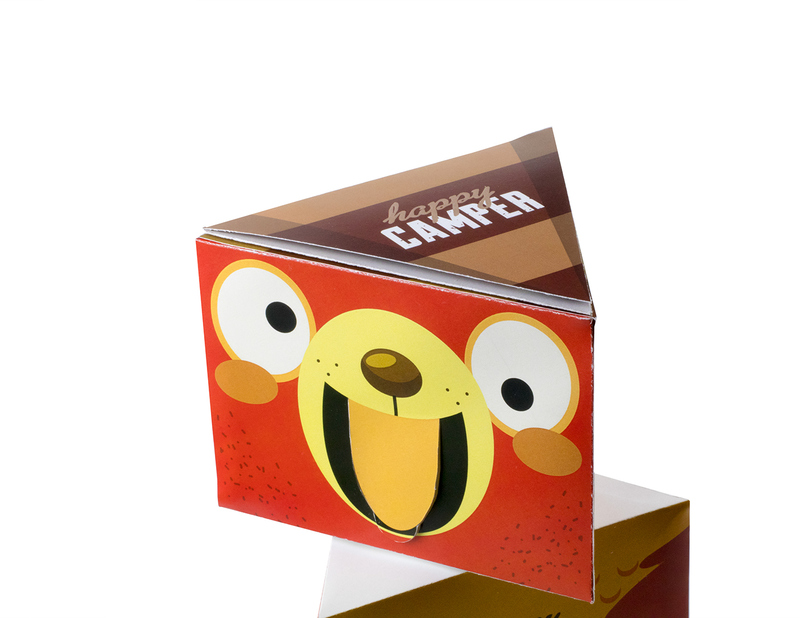 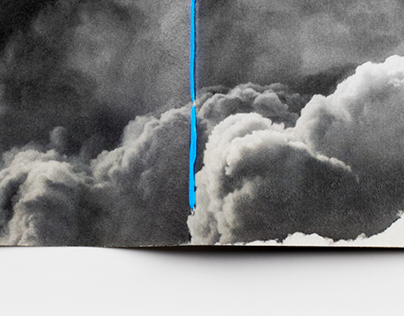 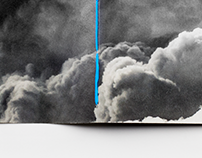 Simply use Happy Camper as a money storing compartment, inspired by Girl Scouts. If you have a knack for crafts, Happy Camper can be transformed into a yarn dispenser. 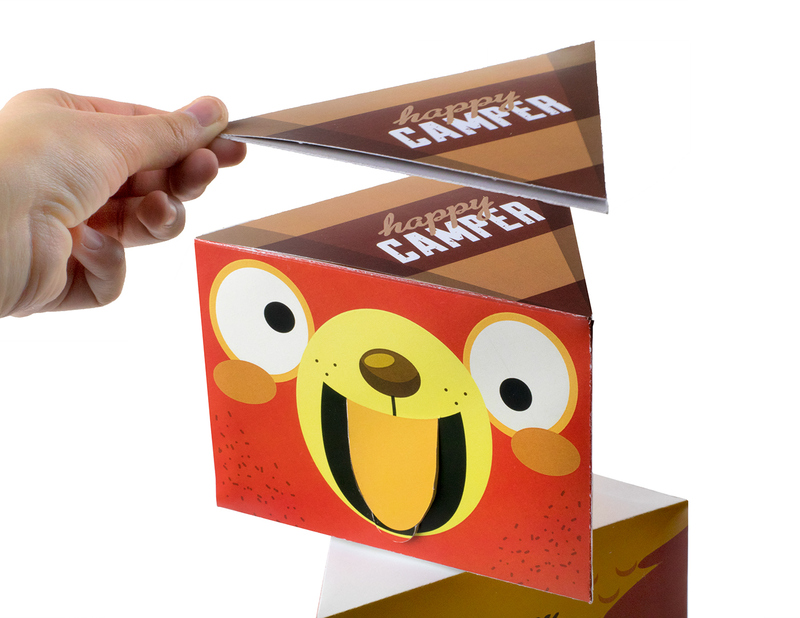 Finally, Happy Camper can also be used as a fun way to dispense your toilet rolls, which will leave you with a smile every time you use it. 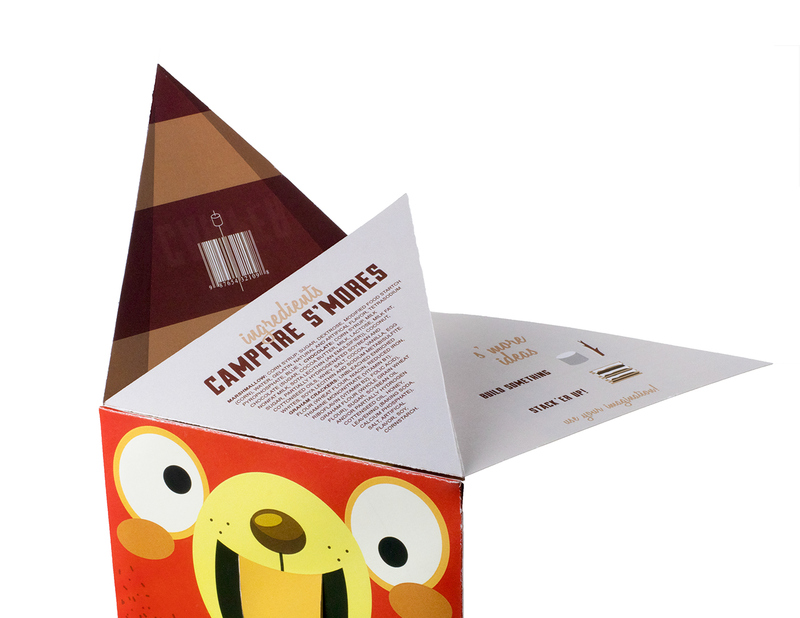 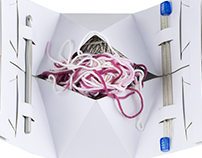 The attached booklet, which can easily be taken off, includes additional information on nutritional facts, how to prepare, how many ingredients each package contains, and “s’more ideas” on how to stack and play with the provided materials.